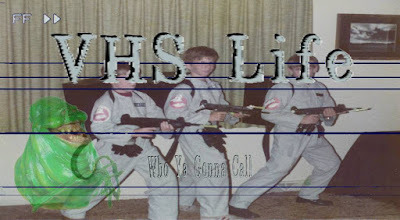 Home / VHS Life / VHS Life: Who Ya Gonna Call? VHS Life: Who Ya Gonna Call? VHS Life Ep. 3 "Who Ya Gonna Call?" The experience of seeing John Carpenter LIVE starts us off and John is extremely jealous that he missed out. Then, John saw Independence Day: Resurgence. Did it live up to the hype, will we see a third installment? John Goodman ROCKS 10 Cloverfield Lane and Michael J has a strange fixation with Mary Elizabeth Winstead. Plus much more! After a break, we’re joined by filmmaker Brian Rosenthal (MARVEL Zombies Vs. Ash) to talk the classic GHOSTBUSTERS! Our earliest memories of it, the toys we had, and how it inspired and/or scared us? None of us get the GHOSTBUSTERS II hate, so what exactly is wrong with it? Although, we didn’t want to get into the reboot we briefly talk about what we expect from it. All that and more to close out this exceptional episode!